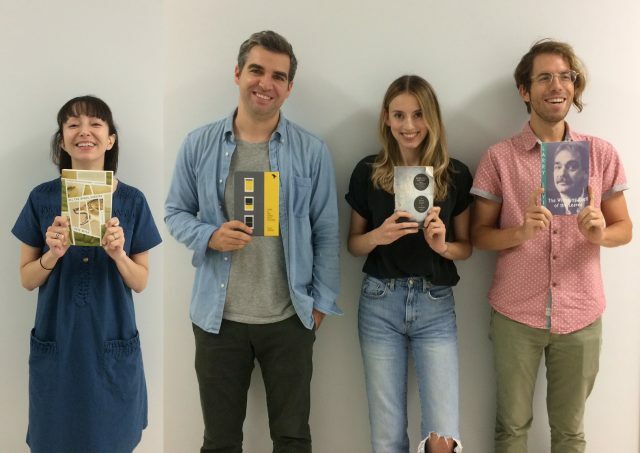 Having survived the first few jam-packed weeks of grad school, the first-year MFA candidates are already looking back on August with a nostalgic glow, remembering a different era when they could read purely for pleasure. We asked two fiction students, one nonfiction student, and one poetry student to discuss the books that they were reading and re-reading as they started the MFA program, the ones that made them excited and inspired, and the ones that perhaps they’ll pick back up in December. I’ve been working my way through a small pile of pastoral literature as research for a piece I’m working on. All were set before 1950 and I wanted to add something more contemporary to the mix. I picked up Evie Wyld’s All The Birds Singing and found a realistic, harsh, yet beautiful rendering of surviving on a farm. The story traverses landscapes, from a small British Island to the Australian Desert, connecting place to the narrator’s personal history. It’s a story that doesn’t shy away from cruel or vulgar situations. Instead, it embraces them and pinpoints the beauty that can be found there. A particularly bookish friend told me I must read Max Porter’s Grief is the Thing With Feathers, so off to the bookstore I went. The setup to this 114-page novel is fairly straightforward: a recently-widowed father and his two young sons are visited by a shape-shifting, mischief-loving Crow (the titular “thing with feathers”), who takes up roost in their London home while they grieve. What isn’t straightforward is how Porter chooses to tell his tale, mixing poetry, prose, play, and essay, cycling frequently between the viewpoints of the father, his boys, and the crow. It’s a bizarre and deeply beautiful book, and left me wondering how a happily married, thirty-something, first-time novelist can so masterfully capture what it’s like to be ensnared in such crippling grief. But also: where was this voice and what will it say next? I’m reading A Field Guide to Getting Lost, a book that first intrigued me as a fan (read: President of the fan club) of Rebecca Solnit, but also caught my attention for its title, posing as a type of manual for losing oneself. Solnit seems to peer so deeply into moments that feel undiscovered, or unnoticed, or simply ambiguous in their beautiful, human complexity, that she actually gives these ideas a type of directional clarity. But the way in which she muses on the idea of being lost itself allows her readers to lose themselves with her, to feel a comfort in what we don’t know or have yet to discover, and to rejoice in where we arrive together as the exploration unfolds. And we trust her as our guide because she so eloquently blends her personal narratives with cultural and historical examples, finding nuance and meaning in our shared human experience. This book feels important not only for the strength of her craft, but for the value in what we can take from it, as writers and thinkers, delving into uncharted territories of our own. This summer I reacquainted myself with Larry Levis through The Widening Spell of the Leaves. The title is an effective metaphor for the way his best work operates, beginning in scene and then expanding imagistically outward and ever-outward to include politics, place, and history. Like the visual trope of the molecule that expands into a galaxy that expands into a molecule as the perspective widens its scope, the poem eventually leads us back into a single moment, with all new layers and resonances. Instead of a poet’s usual sonic tricks and repeated symbols to create patterns, Levis creates rhythm from scenes and images in precise, journalistic writing that recalls Carver’s “Cathedral” and Didion’s Salvador. In Seven Questions, we interview writers, editors, designers, and others in publishing. 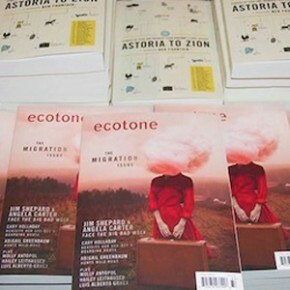 Today we talk to Barbara Hurd, whose essay “The Ear Is a Lonely Hunter” captivated us when it crossed our desks for Ecotone’s sound-themed Issue 20. 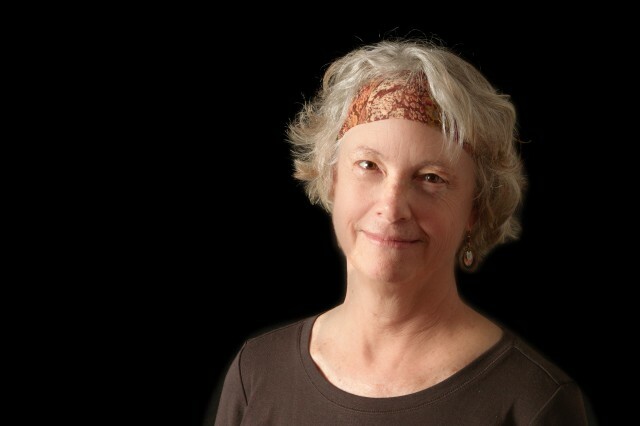 Hurd teaches in the MFA in Writing program at the Vermont College of Fine Arts. She has been awarded a Guggenheim Fellowship, a NEA Fellowship for Creative Nonfiction, Sierra Club’s National Nature Writing Award, and three Pushcart Prizes. 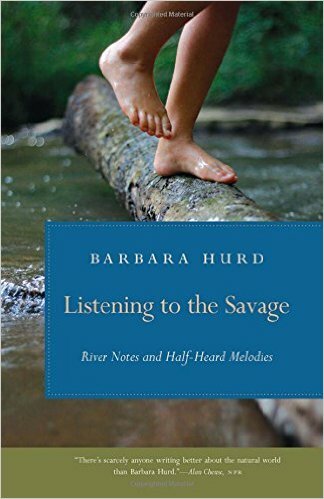 Hurd’s writing launches into meditation from landscapes (caves, bogs) and animals (bats, sea stars). Loren Eiseley’s Night Country, Rebecca Solnit’s A Field Guide to Getting Lost, Andrea Wulf’s The Invention of Nature, Louise Gluck’s Wild Iris, and another half dozen or so. I’d stay right at my desk. I love to travel but I work best at home. If you could change one thing about a classic work of literature, what would it be? I wouldn’t change one word of the book itself, but I’d wish that the course of environmental history since 1962 would allow us to reclassify Rachel Carson’s classic Silent Spring as a good science fiction book whose worries would have turned out to be needless. In other words, I wish the book weren’t still so devastatingly accurate. Your book, Listening to the Savage: River Notes and Half-Heard Melodies, was released in March and another of your titles, Tidal Rhythms: Change and Resilience at the Edge of the Sea, will come out later this year. What can readers expect from these books? Though both books have undercurrents of worry about environmental degradation, I hope for the reader certain pleasures come first: the pleasures of language, of imaginative musings, of immersion in sensual details of the natural world, and the conundrums of how to live a moral life in such a damaged world. One of the challenges of writing Listening to the Savage was how to weave the sensibility of a quirky child—my granddaughter, who pretends efts are dragons and is delighted by mud– with my own increasing worries. It was tough and has made me want to think more about how to genuinely be with children in endangered places we cherish. The Tidal Rhythms book was a stimulating opportunity to work with a master photographer, Stephen Strom. Because I had no interest in merely writing captions, the challenge in that project was to see the tidal regions as he saw them through his camera’s lens, to re-see them through my own lens, and then to re-see them once again through the lens of climate change impact. So both books, I hope, offer readers the sense of multiple ways of seeing simultaneously, which is, I suspect, how we usually experience the world. How would you describe the relationship between your writing and environmental activism? One of the aims of almost all environmental activism is the preservation of biodiversity. Equally crucial, I would maintain, are diversity of voices and ways of calling attention to the natural world. We need the scientists, journalists, activists, etc. to research, testify, protest, publish data, lead inquiries—all the actions that might clarify and perhaps alter what’s happening to our local and global communities. And we need the artists, too–musicians, writers, etc. whose work probes the hidden thoughts and the complex responses of the heart that are so often so difficult to express, which can also clarify what’s happening. We need them to sing the songs and tell the stories that can help us to see the present more clearly and to imagine possible futures. Though I do some minor work with a local environmental group, my primary labor is with the written word. If the natural world is endangered, in part, because of our willingness to manipulate and exploit it for various political and economic reasons, I’d say language is endangered for similar reasons. Its precision is often diluted and its pleasures twisted for purposes of advertising and group-think. Part of my job as a writer—and reader–is to try to resist that degradation and to see whether the effort of paying scrupulous attention to one may enhance our attention to the other. When do you feel most confident as a writer? When that pesky sentence finally becomes clear and graceful and says what I didn’t know I was trying to say. You have a superpower: You can immediately give to every person on earth one piece of information. What is it? Typing or longhand? First longhand and then typing. Silence or music? Silence, so long as it’s not deafening. E-reader or print? Print! I love the physicality of books. Bookmark or dog-ear? Dog ear, which I also use to mark pages—no matter how many–that I want to return to. Bog or cave? Bog—it has better sounds. Sea star or bat? Sea star.